Manufacturer & Supplier of Iron Channel. Our product range also comprises of Cable Trays, Perforated Cable Tray and Stainless Steel Cable Trays. With our rich industry experience, we have become the prominent manufacturer and supplier of high quality Iron Channel. Offered iron channels are precisely manufactured under the supervision of our expert team with the incorporation of modern machinery installed in our infrastructure. 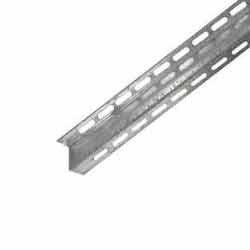 Known for their semi-rough design, tempered edges, dimensional accuracy and hassle-free installation, our channels are widely demanded by our clients. Looking for Iron Channel ?